Sanmina delivered this complex 26” x 24” test system PCBA with 77,000 solder joints & multiple BGAs in 72 hours. 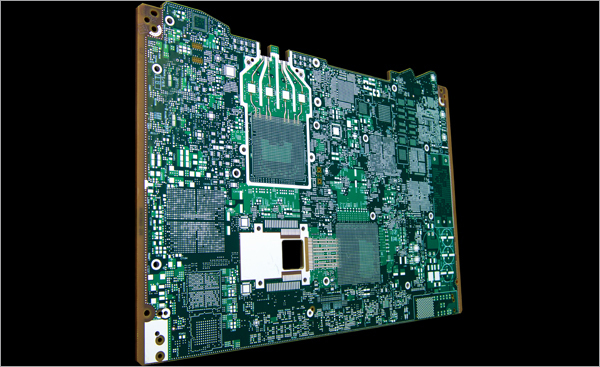 The board was manufactured using SMT, SPI, AOI, selective wave & press fit, tested with flying probe & inspected with 3D X-ray. Sanmina developed custom tooling & handling procedures for this odd form flex & rigid flex PCBA, performed a potting operation & assembled the 0.5” x 2” PCBA into a hand held communication device within one day. 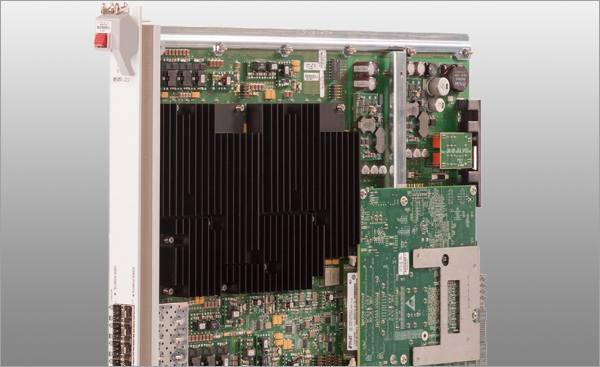 Sanmina delivered a highly specialized networking PCBA with multiple BGAs, having a long form factor (28” x 14”) & requiring an OSP surface finish in 72 hours. The board was tested using flying probe & inspected with automatic optical inspection & 3D X-ray. Using an established global network of manufacturers, distributors & internal world-wide inventory, Sanmina purchasing professionals delivered 350 different component part numbers to the production line for a quick turn prototype build in 2 days. 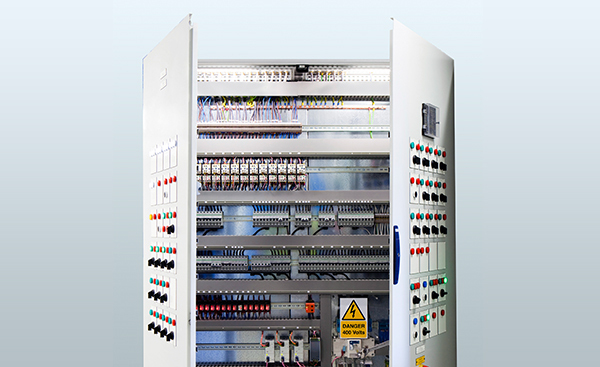 Sanmina’s modular prototype box build line enabled full systems assembly, functional test & debug of a communications system with multiple PCBAs, power supply, cables & enclosure within 24 hours of PCBA availability. A leading multimedia OEM needed a metal enclosure with a significant amount of emboss work produced in 2.5 weeks. Sanmina provided DFM recommendations, modified two turret tools, developed 4 pancake tools & fabricated the enclosure in 2 weeks. Sanmina developed the tooling, manufactured the chassis, assembled the system level cabinets, integrated a complex mid-plane & delivered the first prototype in five weeks, one week ahead of schedule. Sanmina helped a tier one automotive OEM recover from a critical supply chain problem which had the potential to halt automobile production. Sanmina started volume production at a run rate of 2,500 PCBAs per day within 4 days. Sanmina’s ability to manufacture the PCB, fabricate the metal enclosure, source third party components, assemble the PCBA & build & test the complete system simplifies prototype development for design engineers & supply chain professionals. Sanmina’s regional quick-turn facilities bring 20 years of product experience to help both large and emerging companies prototype high technology products. Sanmina has extensive experience with the manufacturing, mechanical and thermal design of indoor and outdoor enclosures for telecom, medical and industrial products.